#1 Racing Game on the App Store in 39 countries, including UK, Australia, France, Germany, Italy & Japan! 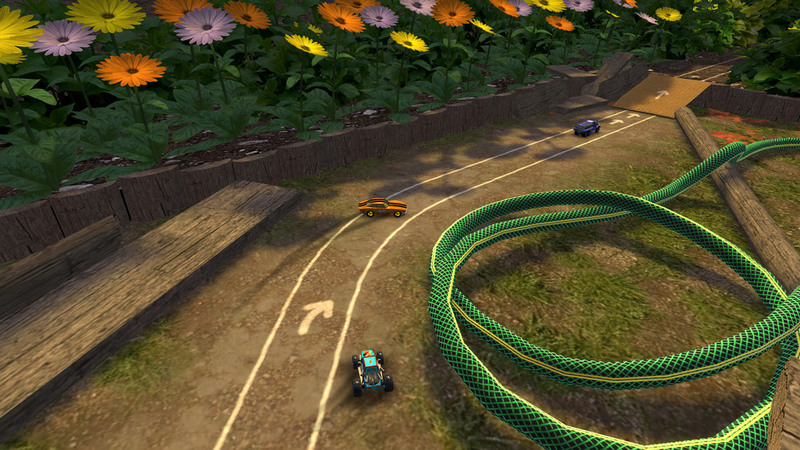 Swing Racers is a 3D racing game with controls that the touch screen has been waiting for! Swing your car around the house with a rubber band - the further you pull, the faster you go but the harder it becomes! It's the most fun you'll ever have with one finger! "The control scheme allows for a great deal of precision to drive your car exactly where you want"
"The simple system works remarkably well"
Most racing games on the touch screen either present on-screen control sticks, or attempt to take something out of the equation, like acceleration. Swing Racers doesn’t take anything away - a completely original control scheme that feels natural, fun and intuitive while being challenging to master! 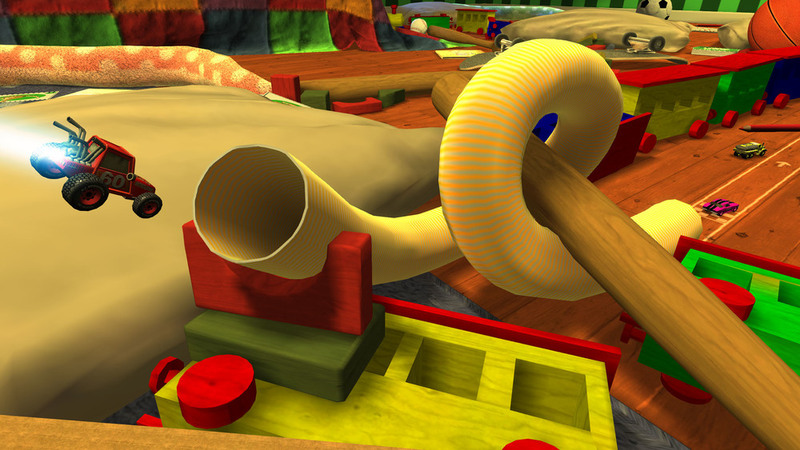 Swing and fling your way through 15 tracks in your favourite household environments, including messy bedrooms, dinner tables, kitchen sinks, pool tables, gardens and more! Bonus levels included for some extra non-racing fun! Burn your opponents with a fireball or freeze them and smash them to pieces! Zap them with lightning, or leave trails of sticky goo and slippery oil for them to drive into! Unlock new cars and new rubber bands to enhance your speed and handling + cool paint jobs just for the looks! Race against your own ghost, or achieve all goals on a track to unlock the Developer Ghost! No one beats the developer! Watch the awesome-looking levels fly by as you race, courtesy of the award winning Unreal Engine 3. The game is tested and working on all iPads, and on iPhones & iPods that support iOS 7 or above. 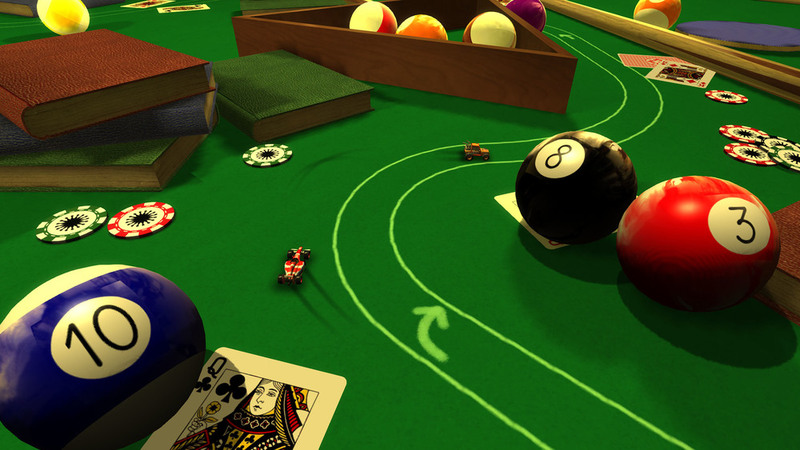 Leaderboards for each track and plenty of cool achievements to challenge the best players! Fully translated for 10 languages including: Spanish, Italian, German, French, Chinese, Korean, Japanese, Russian, Dutch, U.S. English and U.K. English!